On Wednesday, November 14, precision agriculture company Aerobotics announced that it reached the 10 million milestone of processed trees and vines, one million of which were processed in the last five days, in Aerobotics’ proprietary software. 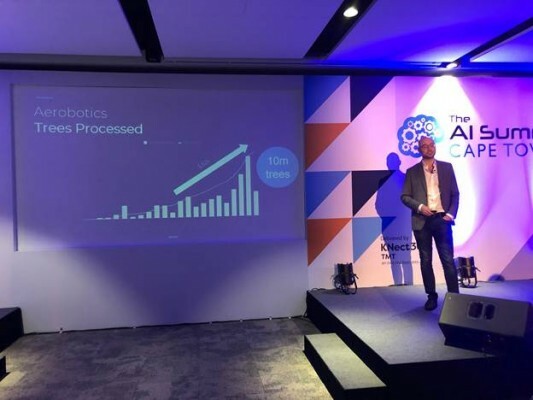 The announcement was officially made by Aerobotics’ CFO and Head of Growth Tim Willis at the AfricaCom event at the Cape Town International Convention Center. Willis made the announcement during his presentation about harnessing the opportunity given to agriculture by leveraging artificial intelligence. 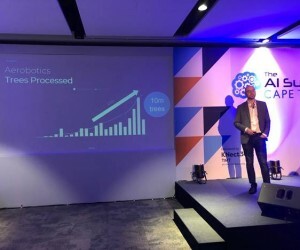 Willis explained that Aerobotics’ proprietary artificial intelligence software gets stronger and more efficient the more data that is processed through the software. Aerobotics processes data from drone and satellite imagery through its proprietary artificial intelligence software to discover and analyse problems, pests and diseases affecting individual trees or vines on a farm. In addition to health, the software also measures size, height and canopy volume. This information, which is displayed through Aerobotics web and mobile apps, helps solve early problems with pests, diseases and stresses. This type of highly accurate data empowers farmers to make better decisions in the field, so they can increase their yield and produce a more balanced crop. The level of overall growth in processed trees has increased dramatically over the past six months. Aerobotics’ attributed this rapid growth to putting the farmer at the forefront of its mission. This has enabled Aerobotics to create and improve its products and services in a way that strongly resonates with farmers around the world.